An explosive jobs report and Bush says nothing? What's up? Economic pessimists have had a field day ever since GDP was reported a week ago at only 1.1 percent for the fourth quarter. But the latest jobs report released on Friday blew them out of the water. Including revisions, January employment is a huge 317,000 above the initial December level. In fact, over the past three months, non-farm payrolls have increased an average 229,000 per month. That’s explosive. We’re on pace for another 2 million jobs in 2006, following gains of 2 million in 2004 and 2005. Wages are also picking up steam, and with gasoline prices falling, consumer purchasing power and retail sales are climbing. #ad#So the question for the Bush Administration is this: What are you waiting for? As soon as the breakout employment news was released, Salesman-in-Chief George W. Bush should have been in the Rose Garden giving it air time. He should have declared that jobs have continued to grow big time while the unemployment rate has fallen — all the way down to 4.7 percent. He then could have used this optimistic data to build his already strong case for extending the tax cuts on dividends and capital gains. These 2003 tax cuts, along with lower income taxes, are a good reason why jobs numbers are strong and the economy is prosperous. In his State of the Union message, Bush noted that recent tax relief has left $880 billion in the hands of American workers, investors, small businesses, and families — money that has been used to help produce more than four years of uninterrupted economic growth. People will spend their money more wisely than government will. Bush ought to keep this drumbeat up. On Friday, the drums were deafeningly silent. The latest numbers from the Congressional Budget Office show a clear supply-side effect where lower tax rates and higher after-tax rewards for work and investment have expanded the economy and created a huge surge of tax collections. Dan Clifton of the American Shareholders Association first reported that actual revenues from the lower capital-gains tax rate came in $46 billion higher over the last three fiscal years and $62 billion higher over the last three calendar years than congressional estimates. The Laffer curve is alive and well. The naysayers are always quick to pounce on low-growth glitches in the economy, such as the Hurricane Katrina-induced GDP report for the fourth quarter. But a glitch is just a glitch. The greater reality is that the economy is growing nicely, jobs are being created, wages are rising, profits are strong, and productivity trends are excellent. Good news is all over this still very new year. The “January effect” — the traditional January stock market rally that follows the traditional December sell-off — was the best since 1999. Same-store retail sales in January beat all projections with a 5.2 percent yearly gain. Car sales have had a nice comeback. And consumer confidence has now increased for three straight months. Even wages are coming online. According to the Bureau of Labor Statistics, average weekly earnings are up 3.6 percent year-on-year. That’s the best since 2000. Then there’s the personal-income proxy derived from hours worked multiplied by wages. This measure registered a 6 percent gain in the year ending January, way up from 4.5 percent last October. With retail gasoline prices coming down 23 percent last fall, from $3.07 to $2.36, real wages are on the rise. Pessimists can obsess about a mild housing slowdown, but expanding businesses and jobs are throwing off plenty of income. If only the president would jump on all this positive economic data, the pessimists would be exposed as data-deprived, hyperbolic, and just plain wrong. More, by truly seizing the economic moment, he would strengthen his case for tax-cut extensions. Right now, he doesn’t yet have the votes in the Senate. The battle must be joined. Additionally, the Bush administration has just requested another $70 billion for the battlefronts of Iraq and Afghanistan, another $18 billion for Gulf Coast recovery, and $2.3 billion in case the Avian Flu epidemic ever arrives. This is essential spending, but it is also essential that budget makers dig deep for spending offsets. A $400 billion budget-deficit estimate will politically damage the tax-cut case. New House Majority Leader John Boehner must really get moving on the road to budget reform. If there is no turnaround, overspending and headline deficits will politically crowd out the vital tax-cut extensions that are so necessary to investor, business, and consumer confidence. The supply-side economic growth plan is working. But the governing GOP coalition must close the circle on budget restraint. Economic growth and Republican political longevity depend on it. The president must do his part by turning up the volume on the good-news economic data. 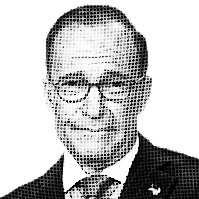 — Larry Kudlow, NRO’s Economics Editor, is host of CNBC’s Kudlow & Company and author of the daily web blog, Kudlow’s Money Politic$.